Car use is an important contributor to wellbeing in old age which should be recognised and planned for according to Elizabeth Dainton, Research Development Manager for the Royal Automobile Club Foundation, speaking today at the Royal Geographical Society Annual Conference* (28). Ms Dainton will explain that the UK has an ageing population which is typically more active and mobile than previous generations. Amongst people aged 70 or over, almost half hold a current driving licence**, and by 2015 the number of male drivers over the age of 80 is expected to double and there will be 3.4 times as many female drivers over 80 on the road***. The car provides older people with freedom, flexibility and convenience, but these benefits are undermined if older drivers are required to give up driving for health or financial reasons. Government therefore needs to recognise and plan for maintaining mobility in old age in a way that does not compromise the safety of wider society on the roads. Although accidents increase with old age, they do not increase to the levels seen amongst novice drivers****. Accidents amongst older drivers are typically a result of physical and cognitive impairments making a retesting regime based on age unsuitable and unjust. Older drivers tend to be involved in accidents that occur during daylight hours, at intersections or when merging or turning procedures are taking place. This could point to driver training schemes tailored for older people being a more suitable route to safe driving in old age. The Royal Automobile Club Foundation’s forthcoming paper***** on older drivers finds that three times as many people over 70 years old enjoy the benefits of personal car travel in comparison to 30 years ago, and in the last 12 years there has been an 18% increase in the number of female drivers over the age of 60. Four out of five drivers say they would find it very difficult to adjust to life without a car****** and this is particularly true for those living in rural areas. For older drivers car availability is the most significant factor affecting their travel habits*******. * Road networks developed to facilitate older driver use (e.g. older people designated parking spaces, larger print on signage, “reduced glare” road markings). * Better promotion of voluntary driver training schemes for older people wishing to improve on their driving skills. ‘When new regulations for older drivers are considered, the Government must recognise the important role that the car will continue to play for people in their retirement years and plan accordingly. 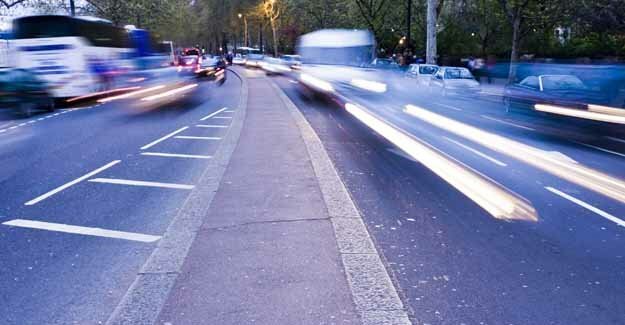 Road safety is an important consideration, but a blanket policy for those over the age of 60 is likely to be unnecessary, unpopular, expensive and ineffective’. * The Royal Geographical Society Annual Conference will be taking place between Wednesday 27th and Friday 29th August at Royal Geographical Society (with the Institute of British Geographers), 1 Kensington Gore, London SW7 2AR. For more details see: http://www.rgs.org/WhatsOn/ConferencesAndSeminars/Annual+International+Conference/AC2008+online+programme.htm. There will be an opportunity for the press to be briefed on this paper, alongside two others on Thursday 28th August at the RGS. For more information please contact Jonathan Breckon. Tel no: 020 75913008. ** ABI (2007) Insuring older people. *** Mitchell, C.G.B (2007) Transport and the Ageing population presentation. Imperial College. ****** RAC Motoring Service (2008) Report on Motoring Annual Report.